The photo received backlash after journalists uncovered Hamideh’s views on the Israel-Palestine conflict. Now, do I know her on a personal level as far as, you know, like we’re friends and we hang out? No. You know what I mean? There’s absolutely no close relationship with the congresswoman. Now, she knows me well, don’t get me wrong, and I know her well through her campaign and stuff like that— like we’ve met numerous times and numerous events. He did add that he feels like there isn’t a single member of Congress who shares his views on the issue but would continue to support Tlaib as the first Palestinian woman elected to Congress. For example, ISIS wanted to take over Syria, or wanted to take over Iraq — you know, the Islamic state. This is why sometimes they get pissed off when I tweet this stuff, when I say that Israel is basically an ISIS-like ideology. I’m sure you saw those tweets … This is true! Because ISIS has the same mentality. They want to claim, lay claim — you know, in their minds, any Muslim around the world can claim Syria, Palestine … all those areas. That’s incorrect. A Christian in the United States can’t claim Rome or claim The Vatican. A religion doesn’t lay you claim to a land. His twitter feed is full of anti-Israel content. Hamideh has also praised Hassan Nasrallah, the secretary general of Hezbollah. Hamideh added that his father, who lived in that village, was 12 at the time of the attack and survived. 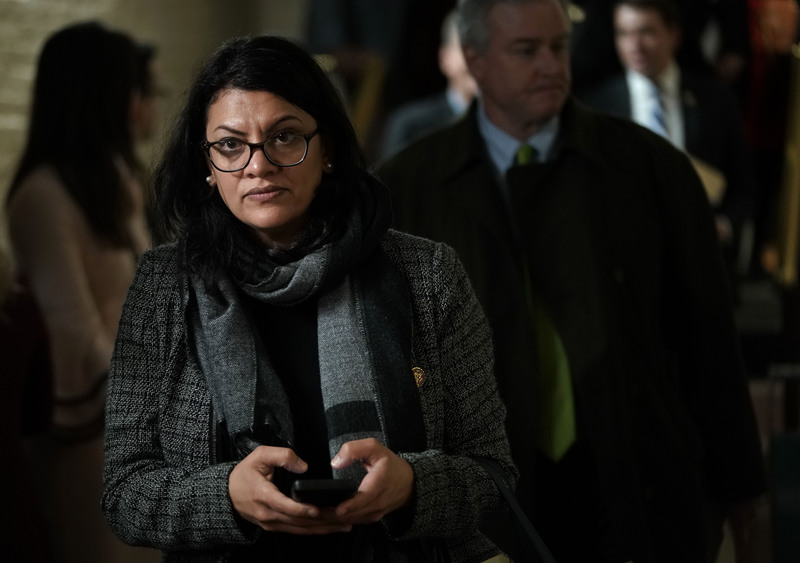 Rep. Tlaib’s office did not return a request for comment on this story.